I loved this session! Claire first got in touch with me as she had long wanted some ‘summery’ images of the whole family. They had plenty of selfie snaps and phone photos, but had never really gotten around to making portraits that would be treasured for generations. I think this is true of so many families (myself included!). We were in the strange period of the year inbetween spring and summer where most of the blossom had fallen from the trees, but the full vibrant colours of summer bloom hadn’t yet developed. We decided to head to a local park and wooded area not far from where Aaron had grown up. We found a lovely quiet area with a few flowers to add a splash of colour and had a great time. 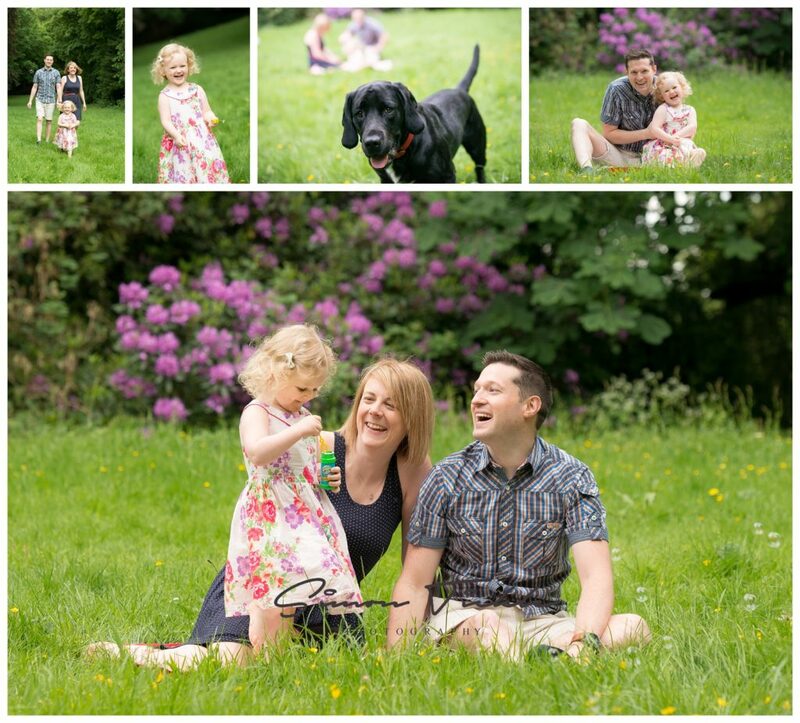 We made daisy chains, chased bubbles and even got photo bombed by a cheeky dog! If you’re looking for someone to turn moments into memories, why not send me a message? All of my sessions are super relaxed and lots of fun!